THis is the classic debate--folder such as the Feathercrafts above--versus sectional. Folders have a weight advantage, weighing 35 to 55 lbs. In the age of airline surcharges, the folder could be checked for a price, the sectional sea kayak likely could not be checked at any price. Flying? Folder! But the less rigid hull of the folder, plus the lengthy construction time (about 45 minutes for the Fathercraft Khatasalano), make them not ideal. The 3-piece sectional is rapid construction, but more unwieldy for air travel. My use of the take-apart is in vehicles, rather than strapping and racking on rooftop, and for that, a sectional is stellar. Provided, of course, that you have the vehicle for it. I will get specific length measurements of each boat section and post for you so that one could determine if it will fit in their personal vehicle. - Folding Kayak: My camping gear, paddles, and kayak kit etc. (barely) fit into 2 (two) oversized bags. Add a folding kayak to these 2 bags, you end up taking a total of 3 bags to the airport. - 3-Piece Kayak: If you travel with a 3-piece kayak, you will be able to store your entire camping and kayak kit in not only the 2 hatch compartments (bow and stern section), but also in the cockpit (paddles). This eliminates the need for you to bring any additional bags with you, thus ending up again with 3 pieces of luggage (if slightly oversized compared with the 3 bags when traveling with a folding kayak). 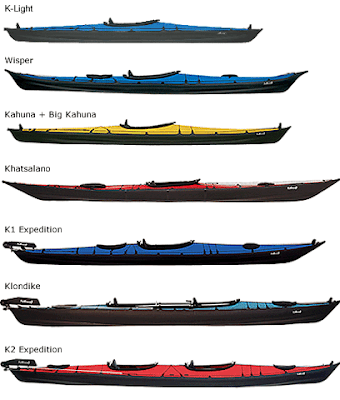 Since in both cases you end up with 3 oversized pieces of luggage, the 3-Piece kayak offers the advantage of a sturdier hull and a sturdier kayak less prone to damage to the canvas hull of a folding kayak, less assembly time and fewer parts such as wooden or metal ribs, bolts and nuts you might loose, damage, or forget at home. I carry two bags when I travel with a Feathercraft Khatsalano. The Kayak and some gear in on and gear in other. The paddle goes in one of the bags. I buy my supplies at the paddling destination. Keeps me from having oversize charges to deal with and local public transit doable. I have seen my kayak dropped by worthless United Airlines baggage handlers from 10 feet and the boat was no worse for wear. Thanks TSC for your ideas. Your comment will live on here for future readers. Even if you buy all your supplies (food) at the destination, I do not think this will wall fit into one bag!